The next Galaxy phone could be very iPhone-like. The iPhone 8 doesn't even exist yet, and it seems as though Samsung is gearing up to copy off its design and proposed features. 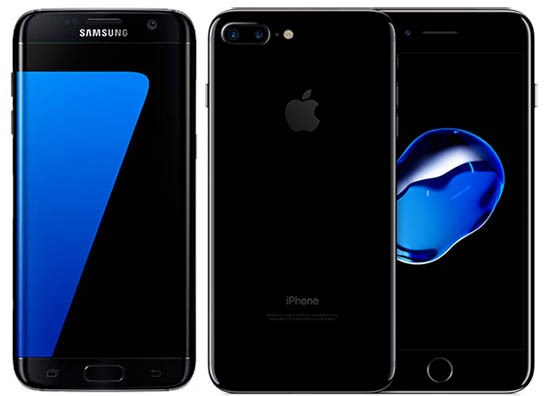 According to Bloomberg, "people wih direct knowledge of the matter" have stated that the upcoming Galaxy S8 phone is going to be adopting certain design criteria that could be used in the new iPhone, whenever it does launch. Samsung is targeting a March release for the updated S8, and it could feature a bezel-free wraparound OLED screen with a virtual home button -- Apple is rumored to doff its Home button on the next iPhone, so it makes sense that Samsung might head them off at the pass. The new designs will come in various sizes, include a voice-activated personal assistant, and special features reminiscent of Apple's Siri, with AI tech courtesy of Viv Labs, the very same that brought us Siri in the first place. These new developments are coming in after Apple has already been rumored to be using all-glass casing for its next phone as well as wireless charging to commemorate what will make its 10th anniversary iPhone. You know what they say: If you can't beat 'em, join 'em, and that certainly seems to be what Samsung is getting at here.